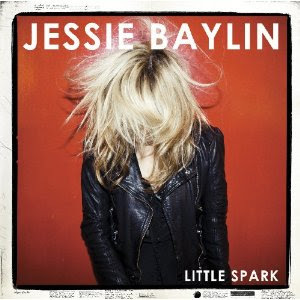 Discussions Magazine Music Blog: JESSIE BAYLIN/Little Spark: Available NOW! JESSIE BAYLIN/Little Spark: Available NOW! 2012 album from the singer/songwriter. Jessie Baylin is a wanderer. A Jersey girl by birth, she attended music school in New York City and later moved to Los Angeles, where she launched her songwriting career as an Indie-Folk regular at the Hotel Cafe. Now settled in Nashville, she funnels her wanderlust into the gorgeous, pastoral songs that fill her third album. Little Spark may be an Alt-Country record on the surface, but Baylin dives deep into the genre’s roots, mining a mix of Western Blues, Laurel Canyon Folk, and 1970s singer/songwriter Pop. String arrangements rub shoulders with pedal steel guitars, and girl group harmonies most of them supplied by The Watson Twins, in their best cameo performance since Jenny Lewis’ Rabbit Fur Coat echo alongside Baylin’s Country-cabaret croon.